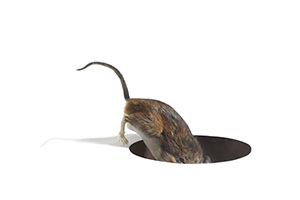 The rodent removal experts at Kilter Termite and Pest Control are proud to offer Solana Beach, California, homeowners proven effective and efficient rodent control services. Our goal is to help our customers get all the information they need to make the best decision for their homes, which is why we offer free, no-obligation inspections. One of our experienced technicians will visit your home, identify critical infestation sites and entry points, and provide you with an honest assessment. If you decide to take advantage of our rodent removal, you’ll receive highly effective service from a team of seasoned professionals. We’ll develop a custom treatment plan for your home in Solana Beach, CA, that uses only advanced products, such as RO-DEX. After installing our system and sealing entry points, we’ll visit your home at regular intervals to remove rodents and rebait traps. We won’t consider the job completed until there is no more sign of rodents in your home. Contact Kilter Termite and Pest Control today to learn more about our rodent removal services and to schedule a free inspection at your home in Solana Beach, CA.